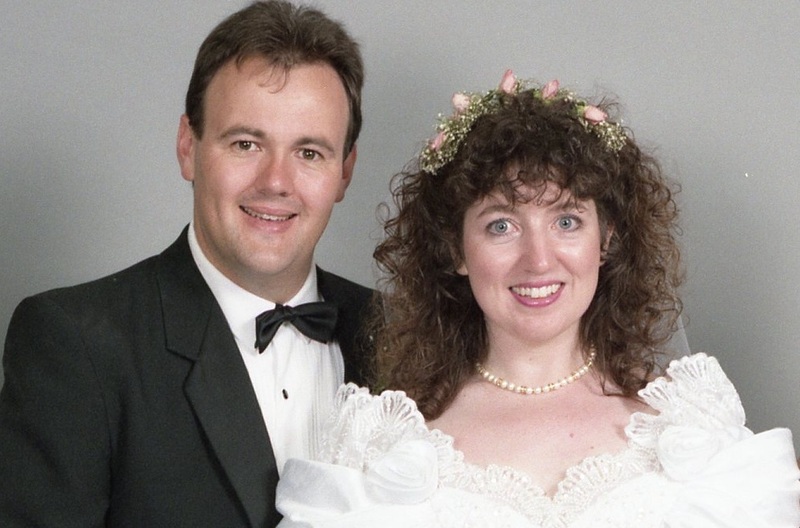 Twenty five years ago on a hot, Perth summer’s day, I put on a suit, went to church, and said goodbye to single life. While it was a wonderful day with so many highlights, it wasn’t a perfect day. While others were free to wear ‘summer appropriate’ clothing, Pauline was in a massive white dress and I was in a black suit. There was no way to escape the heat. There were other little things that didn’t quite follow the plan for a perfect day but it was still the best day ever. It was the day that we had been waiting for. It was the day that, no matter what didn’t go to plan, we would be joined together ’til death do us part’. Pauline and I had met in her mother’s kitchen on the 18th of January in 1992. On the 12th of December 1992, we were married. As a bit of a joke, I had set my New Year’s Resolution at the end of 1991 to say ‘I do’ in ’92. That was never going to happen unless I found the perfect person to share my life. I had decided many years before that I would never ‘settle’ for anyone but the right one. Pauline was and is the right one. I truly believe that God brought us together and I thank him for such a beautiful gift. Today is our silver anniversary. We’ve been married for twenty five years. As the years have gone on we’ve added others into our family. In 1996 we welcomed Emily. James was born in 1998. Then, earlier this year, Josh joined the family when he married Emily. It’s all part of the richness of our marriage and life together. Today is the first day of the next twenty five years, or however long God chooses to give us. I begin that next twenty five beside a smart, wise, clever, funny, beautiful, extraordinary woman who I love more than any other person on this big blue planet. I am truly blessed. Congrats my friend from across the pond! Hope your day is a good one and your next 25 even better than the previous ones.